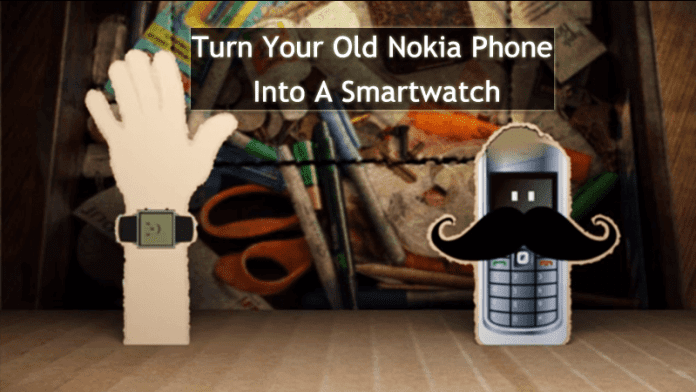 As we all know that the market is full of options for those wishing to purchase a smartwatch, about prices, brands, designs and features, but if you do not want to invest a lot to have an original smartwatch, you can make one for yourself, yes, of course, you can and to do that simply you need a Nokia phone. The market is full of options for those wishing to purchase a smartwatch, about prices, brands, designs and features, but if you do not want to invest a lot to have an original smartwatch can make one yourself, only you need a Nokia 1100 and some components which will give life to that dear old mobile launched in the year 2003. We know that the maker community is able to create true wonders, and this time, we are facing a very interesting project where some components of the Nokia 1100 are used to adapt and create a fully functional smartwatch that will be able to give the time, date, and even receive notifications of our smartphone. The famous hacker Daniel Davis is responsible for this wonder, who has published three videos and a post with the details where we have a list of each of the components and where to buy them, thus creating what could be considered ‘the Nokia smartwatch’. Broadly need to extract the Nokia 1100 display, loudspeaker and vibration motor, also we need a Bluetooth module to link to our smartphone, a battery with a load plate, and an Arduino board, which will serve to program all functions. For the box that will house all these components need a 3D printer that will help us to design it as our desire and deduct only get a strap to get everything done. This watch is a program which is developed by the same Davis which allows us to receive notifications of various applications, as well as e-mails, calls, SMS and even have a weather widget, yes, do not expect much interaction with the clock since in this case only it serves us as an extension of our smartphone. As we can see in the video, this smartwatch does not have a stylized or Avant-Garde design, indeed, is thick, heavy and even looks uncomfortable, and that the wearing of a LED display, Arduino, Bluetooth module and system load, make its size increases or little bit bulky, but at least as a project for a weekend is very interesting.